Just as I’d come to accept this game’s change of setting and concept, this case almost gave me whiplash. 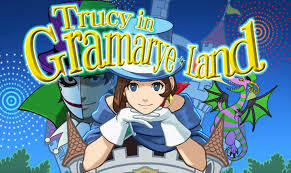 We’re back in Japan (or America, if you want to believe that) with Apollo and Athena, and we’re even dealing with a case that revolves around Trucy, her magic show and the legacy of Troupe Grammarye. This is a brilliant little case. It all takes place over one merciful day, the investigation conveniently lets you know when you’re done in a room, the characters all do their job and while the murderer is fairly obvious from the start, the how is brilliantly devious. Last time we dabbled in the rivalries and intrigues of Troupe Grammarye, I mentioned that it reminded me of Christopher Nolan masterpiece The Prestige. Apollo Justice released around the same time as that film, and I was willing to put it all down to coincidence. This time around, they actually rip off that film’s exact twist at one point. I can forgive it, though, as it is only one part of a pretty great case. We also get to meet our new prosecutor, a monk from Kuh’rain who will no doubt play a big part in linking the disparate Phoenix and Apollo plots. He shares his country’s disdain for defence attorneys, and his holier-than-thou attitude and pure contempt for our heroes makes him one of the most delightfully hateable antagonists in the series for some time. Also easy to hate is the key witness who, in time-honoured tradition, turns out to have done it. He’s smug and cruel, he’s a con-man, he tries to repossess the Wright Anything Agency and he even has an irritating catchphrase. For most of the case he seems to be one step ahead until, in a classic Ace Attorney move, Apollo flips the whole case on its head. Shortly after that we get to experience the one new mechanic introduced in this second trilogy which I actually like, where we enter the protagonists’ thought process and piece together the final deduction. It works great as a way to keep the player involved while also showcasing the genius of our heroes. Finally, we wrap it all up with one of the most glorious villain meltdowns in Ace Attorney history. The character animators really outdo themselves in this game. Just as in the rest of the series, it is a delightful feeling to watch the façade slip and the witness absolutely crumble.